Check out life in these great Lakeshore East apartments, just steps from the Chicago Loop! 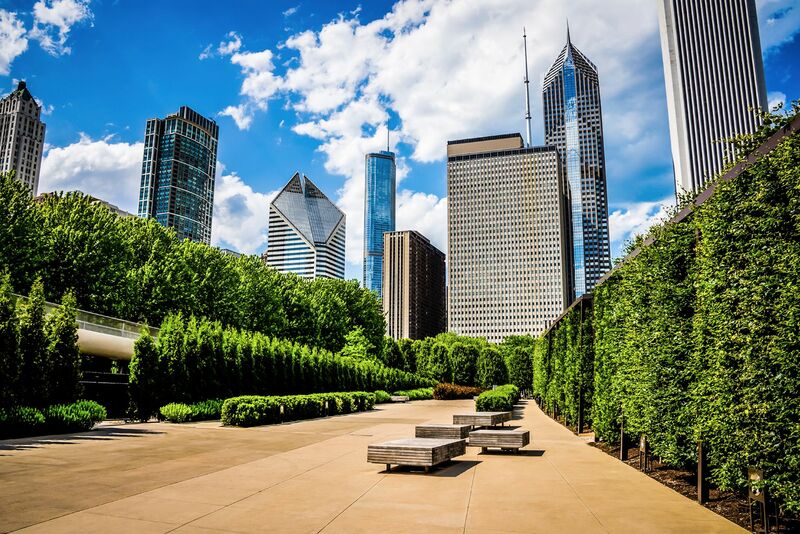 The 6-acre park at the foot of the building has free Wi-Fi for residences, and is a great place to escape to during Chicago's summer, spring and fall. If you are looking for amenities inside your apartment building; no worries, this building has it all. From the fitness center with amazing views to the game room or the indoor spa area, you have everything you ever needed right where here! No need to leave Lakeshore East! All apartments feature modern kitchen with granite countertops, maple cabinetry, and gas cooking. Generous closet space will help you keep your apartment tidy without sacrifice. Floor to ceiling windows let in natural light, as well as views of Chicago's Loop, Lake Michigan, and Millennium Park. Rent includes heat, air-conditioning, internet, cable (including HBO & Showtime), gas, sewer, water and trash removal, so you can save on your rental budget. Balconies and hardwood floors are available in select apartments.